Baobab oil isn’t a popular oil but it’s an excellent oil for treating dry and dull hair. 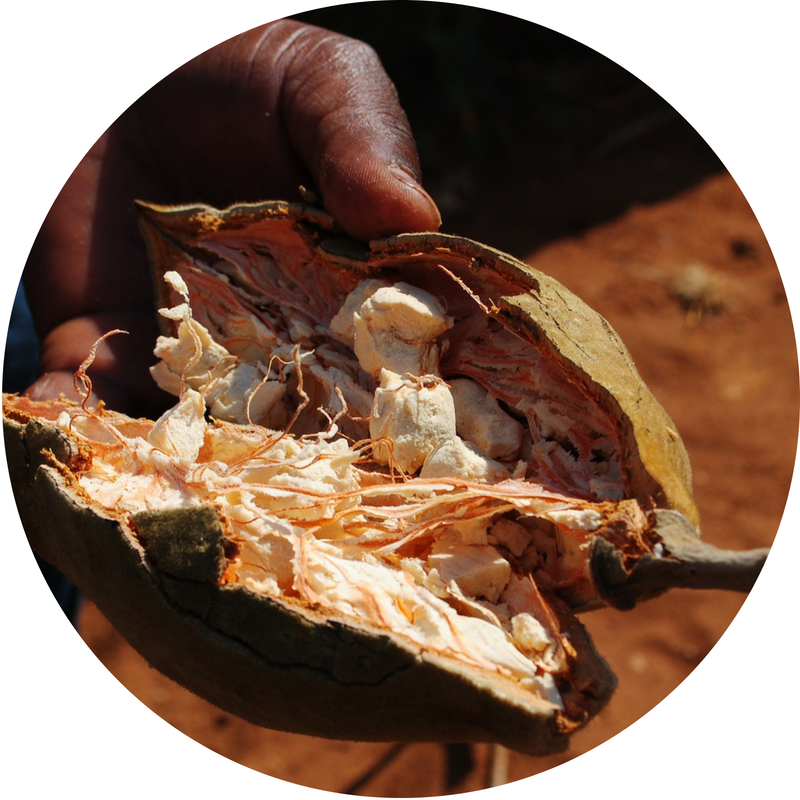 In this article, we’ll look at how baobab oil is made. 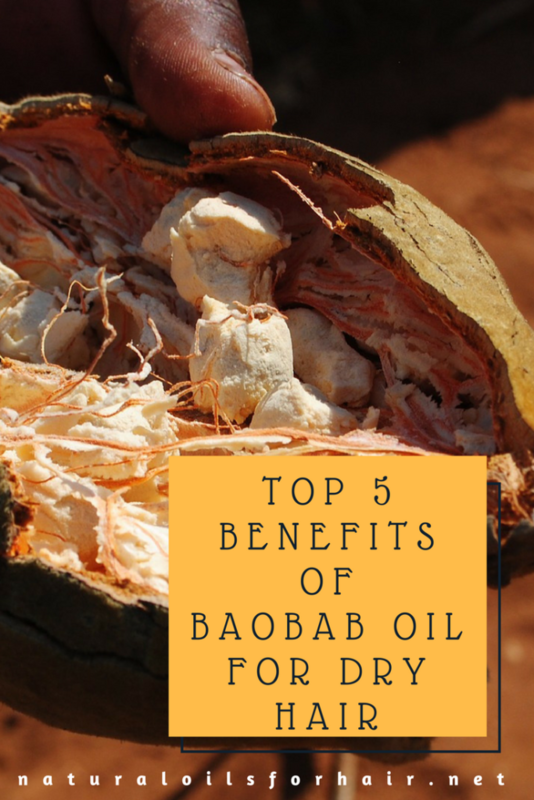 We’ll also examine the benefits of baobab oil for hair, baobab oil recipes for dry and dull hair, the best baobab oil for hair and some baobab oil hair products. 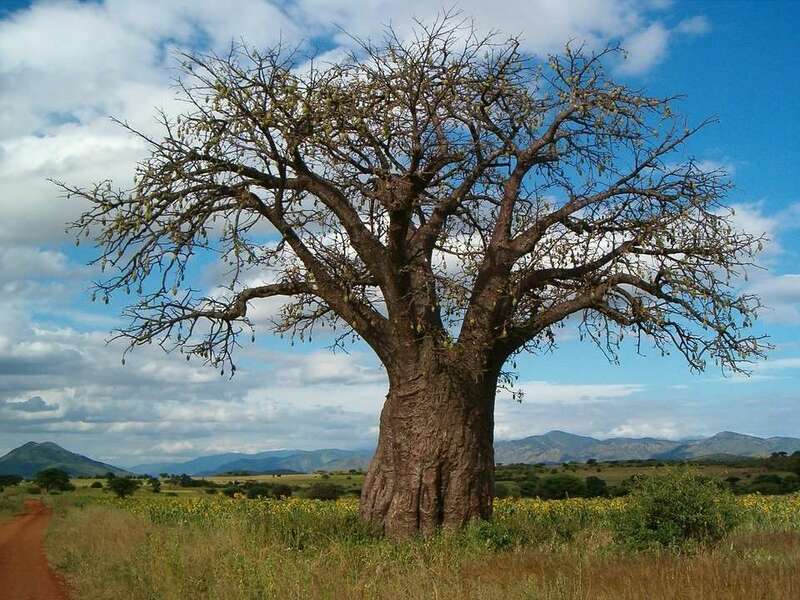 Baobab oil originates from the tree of the same name, which is aka as Adansonia digitata. Named after the French botanist Michel Adanson who studied the trees. The baobab tree is found in tropical regions of Africa at low altitudes and can live for up to 3,000 years. How is Boabab Oil Made? The baobab fruit dries on the tree and then falls to the ground. It is then picked and the seeds are extracted, washed, and air dried. The seeds are then cold pressed to produce baobab oil. 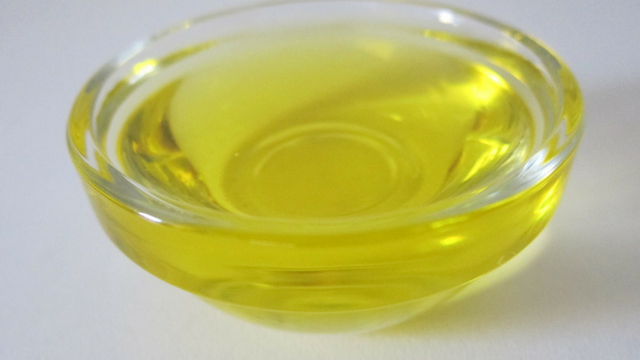 Baobab oil is lightly scented and a semi-fluid golden-yellow colour. What Are the Benefits of Baobab Oil for Hair? 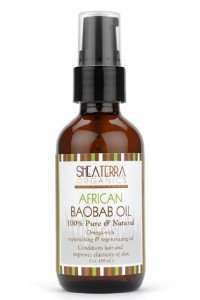 Baobab oil contains softening and regenerative properties that help hair reverse dryness and aid in moisture retention. Baobab oil contains 6 times more vitamin C than an orange. Vitamin C can help promote hair elasticity and strengthen hair. It also helps with the absorption of iron. 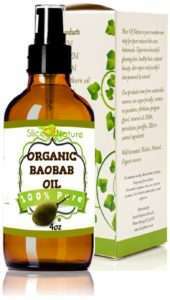 Baobab oil constitutes effective treatment for eczema, psoriasis, rosacea and other inflammatory scalp conditions. It’s a soothing and gentle treatment. With a shelf life of nearly 3 years, baobab oil is a great addition to your DIY recipes. It can also be mixed into your hair oils to extend their shelf life. Light and easily absorbed, a few drops promotes glossy and shiny hair without leaving behind a greasy look or feel. 10 drops of rosemary essential oil, eucalyptus essential oil, tea tree essential oil or lavender essential oil. Mix all the ingredients in a bowl then place the mixture over a bowl of boiling water. Once warm, section your hair and apply to your scalp and the length of your hair. Work in thoroughly then cover your hair with a disposable cap. Wrap a damp hot towel around your head and wait until cooled down then shampoo and deep condition as usual. If you don’t use all of the oil mix, you can pour into a small bottle and store in the refrigerator until the next time you need it. Whisk thoroughly and apply to damp hair in sections. Work quickly before the mix cools down completely. Pin up your hair and wait 30 minutes then shampoo and condition your hair. This recipe is fantastic for very dry hair. When you shampoo, use a natural moisturising shampoo that doesn’t have any stripping ingredients. Is Baobab Oil Good for Hair Growth? 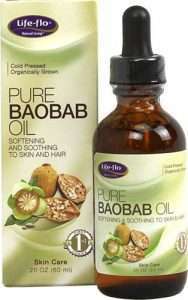 Baobab oil can be a suitable aid in the treatment of hair loss. 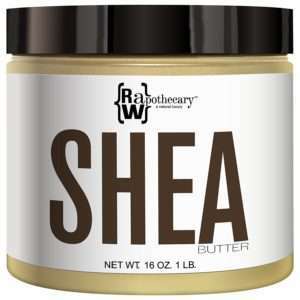 You can use it in combination with castor oil, borage seed oil, emu oil and pumpkin seed oil. See more the oils you can combine it with as well as hair growth recipes in the hair loss archives. Can You Eat Baobab Fruit? The pulp and seeds of the baobab fruit can be consumed. The seeds are dried and ground into a fine powder. 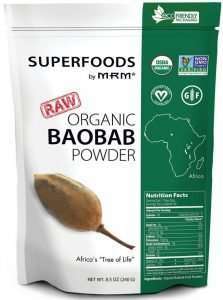 Baobab powder is used as a thickening agent in jams, gravies, and jellies. It is also added to sauces to for a tangy flavour. The dried pulp of the fruit is used to aid fermentation in beer making in Tanzania while in Angola, the dried fruit is used for juices and the base for a local ice cream. In Zimbabwe, the fruit is used as an ingredient in porridge and to prepare drinks.